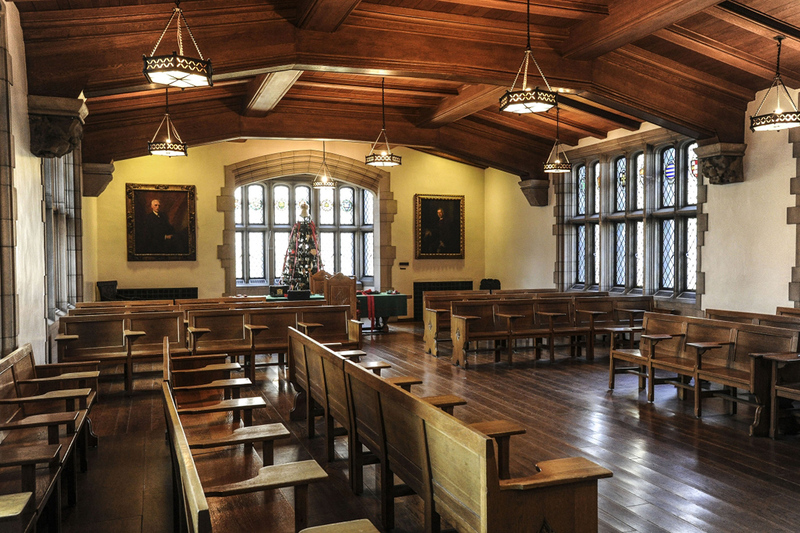 The University of Pittsburgh’s Nationality Rooms are housed on the first and third floors of the tallest university building in the world, the stunning 32-story Cathedral of Learning. Located in nearby Oakland, the Nationality Rooms draw visitors from around the world. The rooms were created to represent the many ethnicities who settled in the Pittsburgh region over the past 200 years, and new rooms are added from time to time. The rooms are decorated, planned and funded by local ethnic organizations: You can view and enjoy the Austrian room, Indian room, Lithuanian room and many others - all of which are used as actual classrooms! The Nationality Rooms provide a self-guided tour, which allows guests to tour the rooms with a pre-recorded discussion of the history and meaning of the various rooms and their decorative cues. Just a short stroll from the Cathedral of Learning is Schenley Gardens, where you can have a delicious lunch at the Porch at Schenley restaurant, looking out onto the park, with its carousel, picnickers and its vendor booths. $259 plus tax.Guest pricing is per double occupancy and that Deluxe King rooms may be in either the Fifth Avenue House or Amberson House. Please note that some Nationality Rooms may be closed to the public due to class schedules. Add: For groups of ten or more the Mansions on Fifth will be happy to schedule a personalized guided tour of the Nationality Rooms for your group.